My local dojo is looking at ways to help new kendoka make the transition from beginner’s course to taking part in regular keiko sessions. To this end I am running several motodachi training sessions for the more experience members so they can help and encourage their newer colleagues. Many people who start kendo do so through structured beginners’ courses where they have the comfort of learning new skills as a group and where they are are not expected to go one-on-one in competition with experienced players. After graduation from a brief period of learning basics they are trussed up in unfamiliar bogu and left to take their chance in jigeiko, often with inexperienced motodachi, who are more concerned about improving their own technique than helping the newbie. This invariably results in loss of confidence and adds to kendo’s exceptionally high attrition rate. The kendo diary of many aspiring kenshi runs along the lines of: week 1 -start beginners course, week 6 – buy bogu, week 7- decide not to go to dojo, week 8 –advertise bogu on Ebay. Thinking about the effort involved in starting such a challenging hobby as kendo it seems a shame that we lose so many students through our own lack of empathy or knowledge of how to best develop them. Traditionally in Japan, most kendoka started as children and there is a natural progression through the school system. Teaching adult beginners is a relatively new aspect of kendo, but it is particularly important in the west where people begin kendo at all ages. 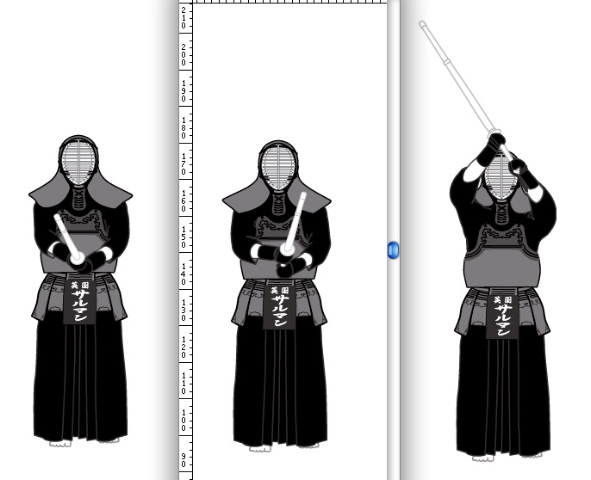 For new kendoka kihon drills in or out of bogu are not particularly threatening. It is when they begin to line up for motodachi geiko against their more experienced dojo mates that the experience can make or break them. One of the biggest problems is that most of us are not taught to be motodachi and we learn through trial and error. There are correct ways to receive kirikaeshi, uchikomi geiko and kakarigeiko and we need to learn these to get the best out of students. Most importantly we need to learn that jigeiko is not a “one size fits all” activity and that we can break it down into gokakugeiko, which takes place between partners of equal level and hikitategeiko, where a senior leads a junior . For kirikaeshi make sure that you receive the strikes close to your men. This way you encourage kakarite to attack the correct target. In uchikomigeiko wait until kakarite enters the correct distance and try to build “mind pressure” before making the opening. If you show the target when he is out of distance he will develop the habit of running in, rather than learning to make one step one cut. In kakarigeiko keep a relaxed , soft chudan and allow kakarite to make his own opportunities. In hikitate geiko try to keep only half a dan’s difference in level between you. Keep your own seme and pressure and by all means go for the first ippon “shodachi”, but encourage kakarite by allowing good strikes to connect. 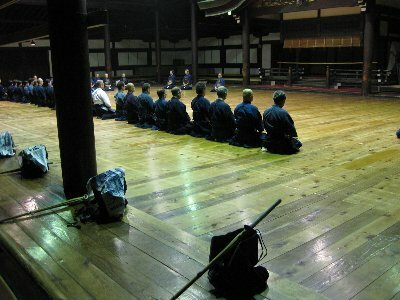 Acting as motodachi is not just a one sided act of charity, you can develop your own kendo whilst helping others, please see my earlier post on the subject http://wp.me/ptBQt-gx .